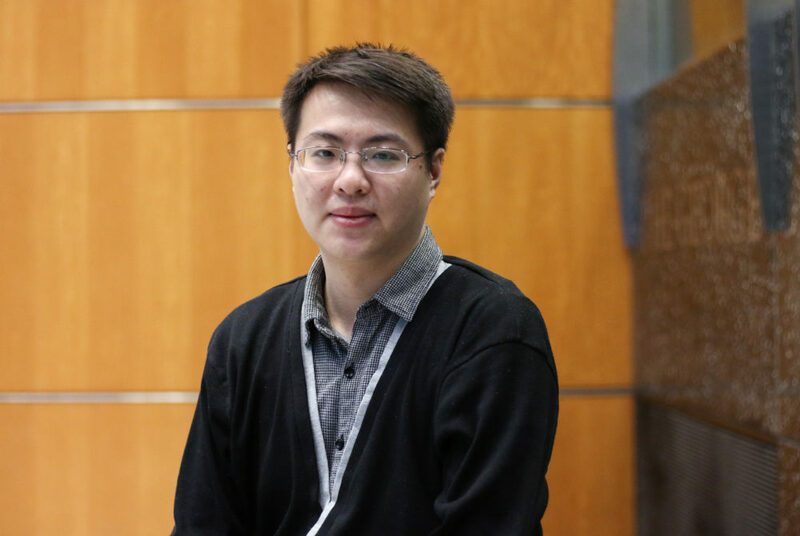 Deng Pan, a doctoral student and a member of the transportation team, said prize money from the competition will allow the team to continue developing the technology and pay for machinery and licenses to publish iPhone and Android apps. A team of professors and students were crowned the winners of D.C.’s first public innovation competition last week for developing a traffic safety app. The team won $25,000 in startup research funds as part of the inaugural GigabitDCx competition, which challenged innovators to submit technological solutions to confront city mobility and environmental issues. Members of the winning team said their submission, called Road Vision, will help individuals analyze and predict traffic collision and congestion patterns on their travel routes. The technology analyzes traffic patterns from videos of roadways to “characterize and predict” traffic patterns, including road congestion, accidents and traffic from pedestrians, cyclists and scooters, according to the team’s submission page. Members of the team said the technology will rely on data from traffic cameras as well as public input. Users can submit videos of roadways using a free app and view real-time analysis and traffic predictions. More than 100 innovators contributed to 21 submissions entered into the GigabitDCx competition. Teams competed for $34,000 in award funds and the opportunity to work with the D.C. government to continue testing their technology, according to a press release issued by the mayor’s office Feb. 12. The competition kicked off last October, and six semifinalist teams were selected to continue to the final phase in November. Claire Silverstein, a visiting assistant professor of civil and environmental engineering and a member of the team, said the technology will contribute to overall safety and mobility in the District by characterizing traffic and collision trends for the public. “We can hopefully have better signal timing, target areas where there are more collisions that occur, target areas where we see congestion and then be able to hopefully track that congestion and try to mitigate that,” Silverstein said. She added that having access to traffic cameras will help researchers develop the technology by providing constant video feeds of busy roadways. But since the traffic cameras do not cover all roads, the technology will also require the public to submit videos of D.C. streets, she said. “If you see something that either you think is interesting on the roadway or makes you uncomfortable – like if you think there’s a bunch of speeding that’s happening – you can take a video and upload it to our app, and then we can back-end process it and make that part of our database,” Silverstein said. While Road Vision will only function in D.C. to start, Silverstein said the technology could eventually operate in any major city. Silverstein said the team plans to launch pilot versions of Road Vision by the end of the semester or this summer. Deng Pan, a doctoral student and a member of the transportation team, said the prize money from the competition will allow the team to continue developing the technology and pay for machinery and licenses to publish iPhone and Android apps. “We may use this money to buy the machines, build our own service, license to Android and OS operations and build our own applications,” Pan said. The team was led by Samer Hamdar, an associate professor of civil and environmental engineering, who did not return multiple requests for comment. The team also included doctoral student Amir Farrahi, who did not return multiple requests for comment. City officials called Road Vision a “unique chance” to support Mayor Muriel Bowser’s Vision Zero initiative, which aims to eliminate transportation-related fatalities and serious injuries by 2024, according to a release from the Office of the Chief Technology Officer on Feb. 12. Lindsey Parker, the acting chief technology officer, said Bowser’s administration is trying to expedite the creation of new technology to contribute to the SmarterDC initiative, which promotes partnerships between the city government and local communities to devise and implement new technologies to improve D.C. quality of life, according to the initiative’s website. Parker added that the administration is a member of U.S. Ignites’ Smart Gigabit Communities, a movement that helps accelerate the development of apps that will drive “local innovation economies,” according to the organization’s website. “We are attempting to spur the creation of next-generation applications and services that leverage advanced networking technologies to build the foundation for smart communities,” Parker said in an email. City officials have announced that the next public innovation challenge will begin in the spring with a focus on public health and safety.